--Hmm, I don't know what to tell ya!--: Photo a Day Challenge - August 4 - "Somewhere you sat"
Photo a Day Challenge - August 4 - "Somewhere you sat"
Chantelle on Fat Mum Slim gives an unusual prompt for today's "Photo a Day." Participants are challenged to show somewhere they sat. 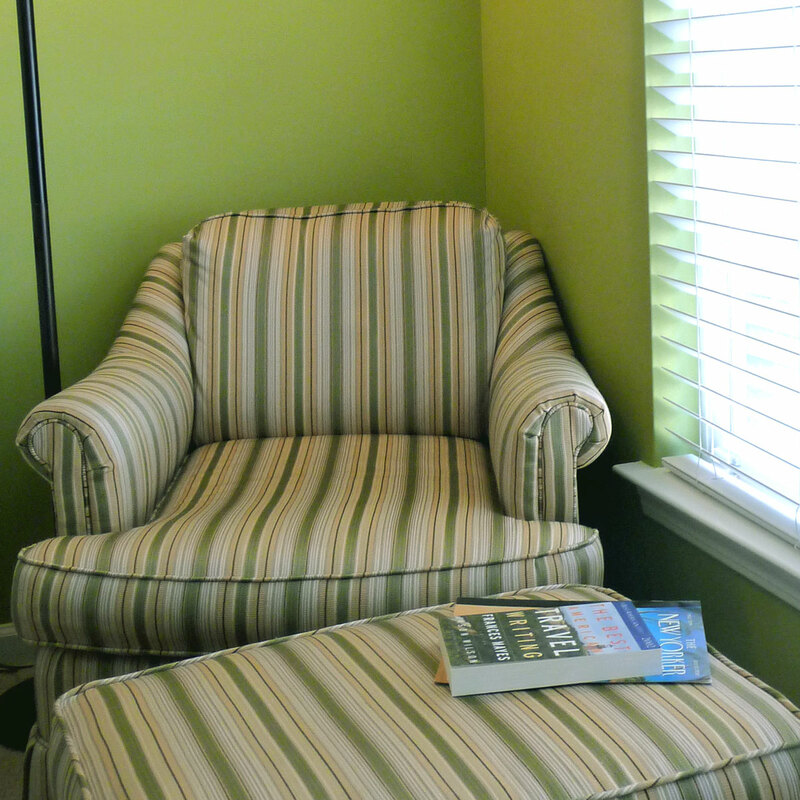 This chair and ottoman are in our home office and often I sit here to read the latest copy of The New Yorker or a book. Currently I'm reading The Best American Travel Writing of 2002.